The digital age. So many digital footprints. Unless you are James Bond and his team at MI6, well, you cannot hide your activity online, not from the authorities. Or can you? Maybe, depends on you. Would you like to hide your digital footprints with the best VPN service? If there is no censorship in your country, where you can watch, download or upload anything that you want, there is no need for hiding your actions online. So what is VPN? VPN initials stands for Virtual Private Network. We can say that this is a VPN security passage used to encrypt the information passed between two insecure connections, or between one insecure and one secure connection. The VPN acts as screening tunnel between the connections. This technology keeps you secure from hacking and other internet malfunctions, as well as school, government or other censorship. With the best VPN service, it is possible to use many internet-enabled devices using one the same service. For starters, VPN does not operate with your personal IP address. Rather, it provides its own VPN address so that no one can trace you on your personal address. This way, people roaming the internet remain anonymous to one another. Do not think that a firewall and a VPN are the same. Well, while they have their similarities there is one major difference that makes each one of them unique. A VPN provides security online. On the other hand, a firewall protects the computer itself and not the activity going on online. Now, in order to use the VPN, you first need to sign up and register with a VPN service. 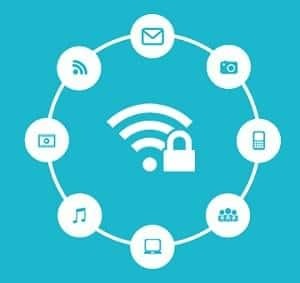 What is VPN service? There, you now know the answer. 2. What about the ISP? Having a VPN service provider does not mean that you will no longer need your Internet Service Provider. This is because both of these services operate differently and you definitely need both. Now, with a VPN service, the ISP no longer has access to your information and also it cannot tell where and what you do on the internet. The only thing that an ISP service provider can acknowledge is that you are connected to a VPN server. Imagine that, visiting all the sites that you want without someone watching what you are doing. There are so many things that VPN can do for you. Firstly, VPN allows the user to encrypt messages so that personal information is not accessed by the public. In other words, VPN is widely used for the main purpose of providing security as one surfs the web. For businesses especially, a VPN service is essential since it allows a company to monitor and control the flow of information in and out of the company without worrying about hackers or unauthorized access. To be assured of VPN security, make sure that the one you subscribe to does not keep logs. Otherwise, it would be senseless to continue using the service. This is called geo-spoofing where you may find yourself unable to access some services like Facebook due to your location. However, that need not stop you because with a good VPN network, it is possible to access such websites. It will hide your location and therefore people will think that you are in the respective place where there is unlimited access. 5. Does the distance in location matter? Well, I would say that when it comes to choosing a VPN service, the distance is not a problem at all. In fact, what you should look for in the VPN reviews is in how many countries the VPN provider has servers. The more the better. You can be in Africa and yet use a VPN provider who is based in the USA. Never subscribe to any service online without reading the reviews. A good VPN service is one that is widely known and one that is recommended by many users. The purpose for which you want a VPN also matters because service providers differ in what they offer. Be sure to look out for the price, privacy, location, speed, policy, transparency and the extent of the VPN coverage among others. A good VPN is one that will allow you to try out first before subscribing for it. 7. Is there a restriction device? VPN service knows no restriction regarding the devices used. As long as you have your computer, laptop, tablet, smart phone and other advanced tools, then you do not have to worry about restrictions. Just make sure that the device is internet enabled and then use the device to log in to the VPN. 8. Is there anything like free VPN? Remember they say that cheap is expensive. It is true that there is free VPN. The only issue is that it cannot be trusted. You would rather incur some cost than go for something that might ruin you in the near future. In addition, the free VPN service is limited when it comes to the number of features, that is why its free! Always go for the paid-for VPN network. It is better to pay more money for more features than get a freebie with few features. With the constant encryption and decryption of information by the use of a VPN network, so much power is used which sometimes tends to slow the internet usage so that you surf at a low speed, which, agreeably, is very frustrating. But I guess the benefits outweigh the cost of having internet at a reduced speed. 10. Do I really need a VPN? As long as you have access to the internet, you most certainly need the VPN services. If you like using the public networks and hotspots, it is time that you subscribed for a VPN security service that will always cover your tracks and safeguard your privacy on the internet. Otherwise, you do not want hackers hacking and accessing all of your personal files and information.